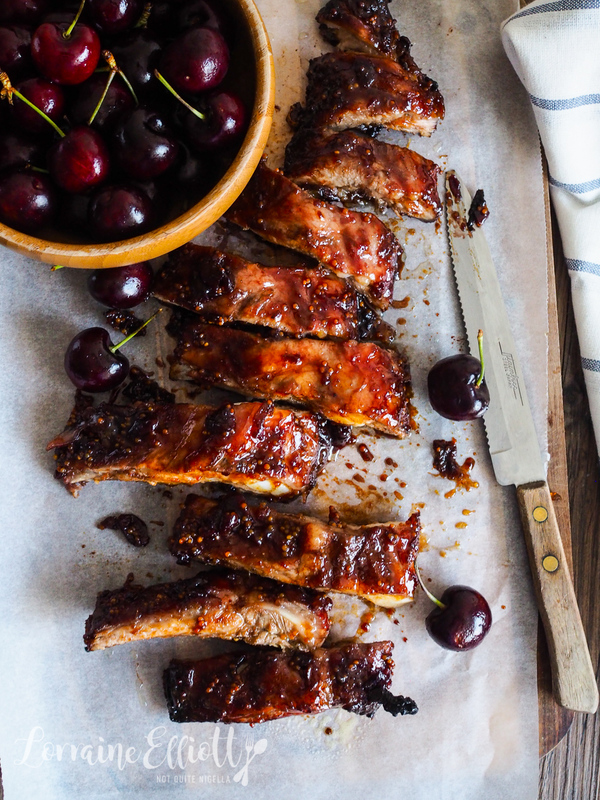 These luscious, sticky pork ribs are marinated in a cherry, ginger and star anise sauce. They're then slow cooked so that they remain juicy and succulent but then a final high heat blast caramelises the sugars so that the edges are crisp and burnished. Oh and did I mention how straightforward these are? Eating ribs one of the greatest gustatory pleasures of life. I find it's quite hard to cook baby back ribs badly, that is, apart from burning them. I mean I have had average ribs but that's more down to the sauce. But there is something so pleasurable about sinking your teeth into ribs. I love meat off the bone. I know some people don't and that's their burden to bear because they will miss out on the juicy, flavoursome meat. Speaking of one of the newest pleasures in my life, I recently started singing lessons. Up until a couple of weeks ago, I had never sung in public, only at home when I was a teenager and more recently just humming and singing while I cook and work but as I work alone nobody had really heard me. I was always frightened away from singing. My second grade teacher told me that my voice was too low for the choir and so I thought that I couldn't sing. I did music at school and I watched as other students with perfect pitch could guess the notes that the teacher was playing. So I thought that I was also tone deaf. But a few weeks ago we did some karaoke and I managed to hold a tune. I loved it so much that I was encouraged to take singing lessons - as Mr NQN put it I needed a hobby as my other hobby (eating and cooking) was now my job and I needed something else. I found myself a teacher and we went through my goals. I don't really have any lofty goals, I think I just wanted to sing more than anything else and I don't have any technique. So far I've only had two lessons. So tell me Dear Reader, do you sing or do you find it intimidating? 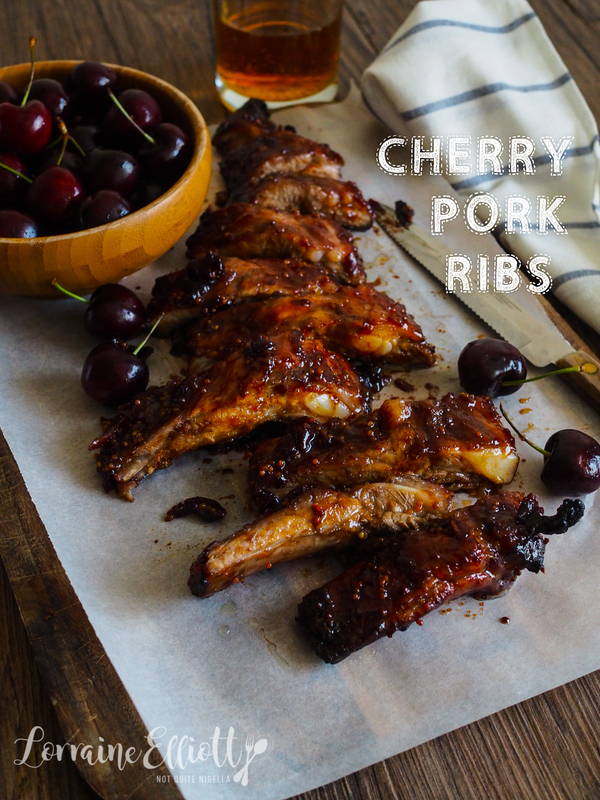 Do you find eating ribs pleasurable? Do you enjoy meat on the bone? Step 1 - Make the cherry marinade first. Blend the cherry jam and water so that it becomes smooth. Add mustard, ginger, star anise and brandy or whisky. Season with salt. This marinade can be made 2-3 days ahead or frozen. Step 2 - Marinate the racks of pork in the marinade for anything from 30 minutes to 2 hours (or you can do this overnight). Preheat oven to 140C/284F and line 2 baking trays with foil or parchment reserving some of the marinade to brush over the ribs as they are cooking. Cover with foil that has been sprayed with oil so that it doesn't stick to the meat, and bake for 1.5 hours basting every 30 minutes. Step 3 - Turn the heat up to 180C/350F. 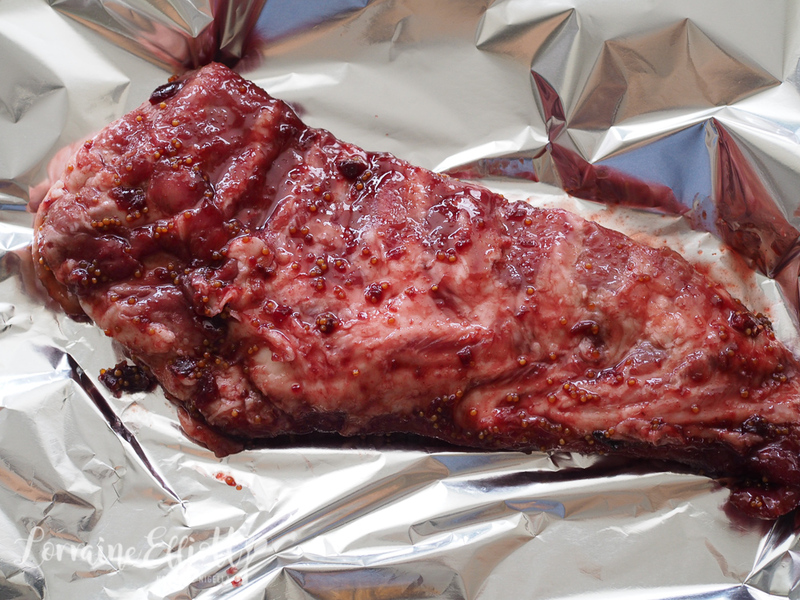 Remove the foil and roast for 15 minutes. Serve with ginger rice. To make ginger rice, add 2 tablespoons finely grated ginger to a pot of basmati rice water and cook as per instructions. recipeFeeding a Hungry Crowd With Pork Belly Ginger Tacos! recipeGorgeous Ginger Pork Belly in The Rice Cooker! 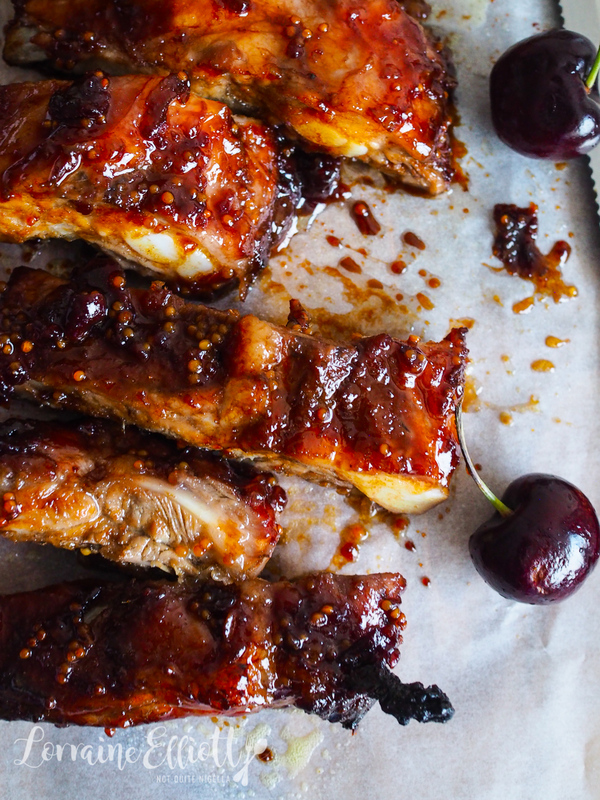 recipeIt's Going To Get Dirty In Here: Asian Style Glazed Star Anise Pork Ribs! recipeEasy Pork Scratchings That You Don't Have To Deep Fry! !